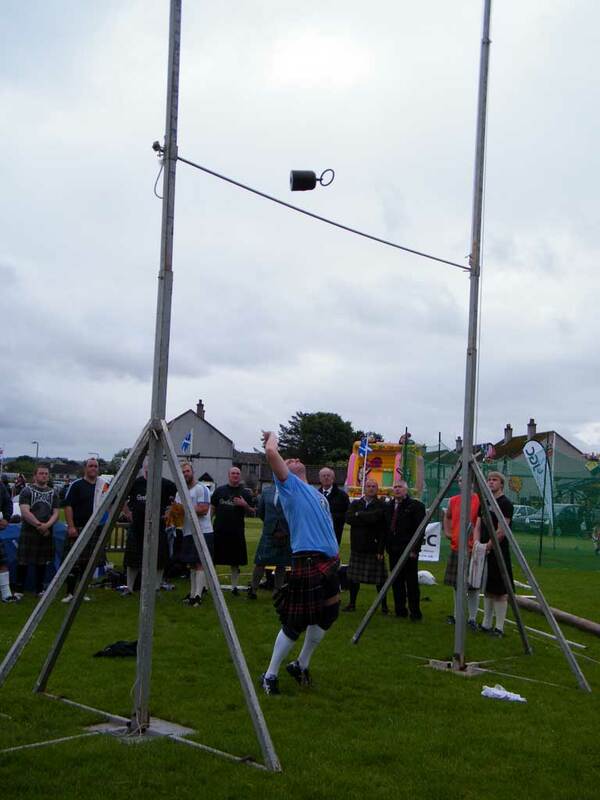 The Games are normally held on the last Saturday in July and officially starts at 12 noon with the traditional march of the pipe band and organising committee, from the village centre to the Games field at the Recreation Park. Dancers, Pipers and athletes compete in a carnival atmosphere. One of the best places in the UK for surfing, Thurso has regularly hosted Coldwater Classic Surfing and Kayak competitions. Entertainment and events around the town make for a festive atmosphere. The Scottish National Surfing Championships are held right here in Thurso. The Scottish Surfing Federation is also based in Thurso. Their website has lots of information regarding upcoming events and is well worth a look for any surfing enthusiasts (http://thessf.com/events/). This list is by no means exhaustive and it is always worth checking what’s on in Caithness for more events and activities. 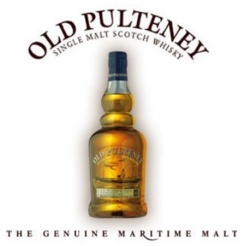 We are very lucky in having such a great local whisky in “Old Pulteney”. The tour of the distillery in Wick explains the story of this classic Scotch whisky and you can sample the product too. Take a little home with a miniature bottle. We have written a Wick walk “quiz” that takes you on an amble through the best parts of Wick, it takes you past the distillery. Thurso now also has its own distillery, Wolfburn pride themselves on their whisky always being naturally coloured and never chill filtered. Tours are offered here through the week. For those who prefer gin or vodka Dunnet Bay Distillery is an excellent experience. The tour give an engaging insight into the creative process of creating their award winning Rock Rose gin as well as the production. The tour also has a tasting to show the impact of adding different garnishes to each spirit. Tours here run from monday to saturday. 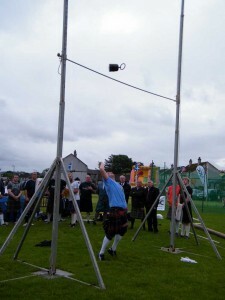 The Halkirk Highland Games is the best known highland gathering in the north and takes place on the last Saturday in July. You will get tired just watching the dancers. There are other smaller gatherings around the county on other dates and they all give excellent family entertainment. We have lots of golf courses. Perhaps the most famous is the links at Reay. Caithness has some fascinating archaeological sites, many involve a bit of walking to reach but are well worth the effort. 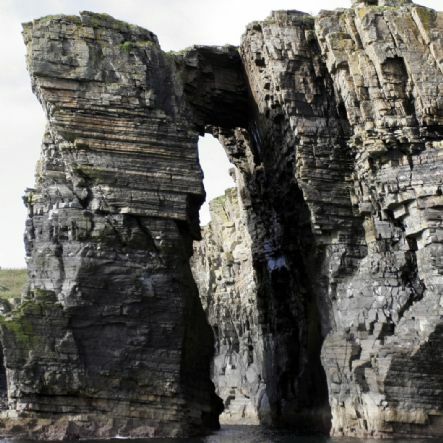 The Caithness Broch Project have an excellent website with information regarding these sites. Our top picks would be the Yarrows archaeological trail and the Camster Cairns. The small village of castletown hosts an excellent heritage centre. They are also the meeting place of a local astronomy group. There is good coastal, sea, loch and river fishing available. Go to Harper’s shop in town (they don’t have a website but phone is 01847 893179 or email harpersfly@btinternet.com) where they can provide all the information on where to go, hiring a boat, getting a place on the sea fishing trips and getting the permits etc. They do not have a website you just have to ask. There are numerous old quarries dotted around Caithness. Some are very good for finding fossils. The quarry at Achanarras has an information centre which gives help with what to look for. 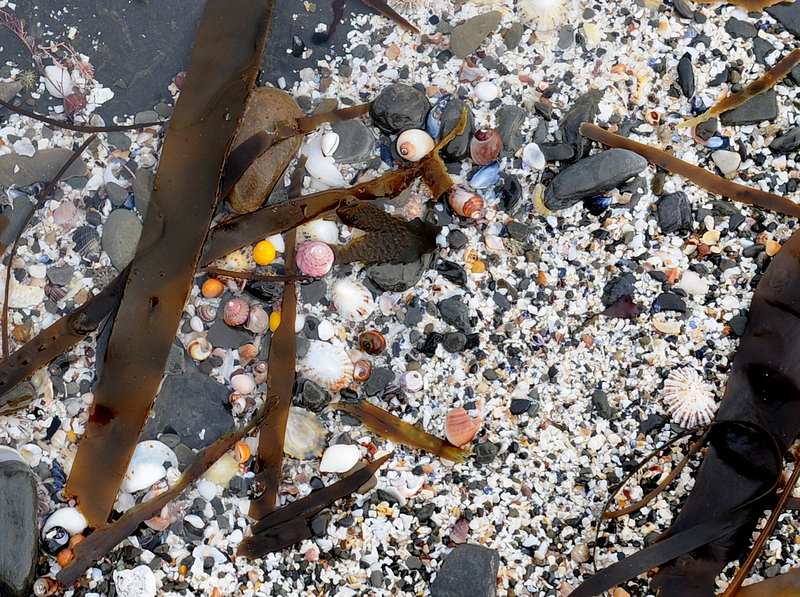 We have lots of lovely golden sandy beaches but there are also lots of places with tidal, flat, rocky areas with shell beaches where you can look for little sea creatures in the rock pools. 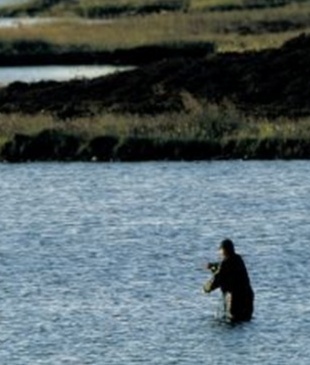 I am particularly fond of the area around Brims Ness where you can pick up the tiny “Groatie Buckie”. 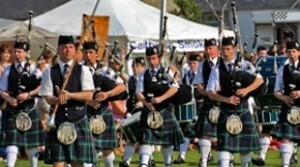 During the summer the Thurso Pipe Band plays in the town centre every Saturday night. They march through town and stop outside St Peters and St Andrews Church on the main square. They often have some Highland Dancers with them. The Wick Pipe Band do the same in Wick town centre. 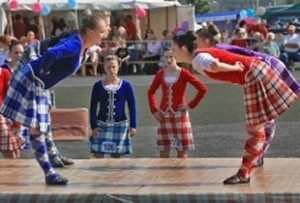 During July and August there are regular “Variety” shows with lots of local musicians/dancers on Wednesday evenings in the Pipe Band Hall in Wick. These are great fun with a welcoming atmosphere. The club normally meets on the last Friday of the month in the The Royal British Legion Clubrooms, Riverside, Thurso. Doors open at 7.00pm, the support band starts the entertainment at 8.00pm followed by the main act. The events held by the club are open to both members and non-members. See the coastline from the other side. Everything is a little more impressive when you are looking up. Castles, harbours, sea caves, stacks, cliffs with sea birds swirling around and a good chance of seeing seals, porpoises and whales. Information and sailing times can be found at Caithness Sea Coast along with some great photos from previous trips. Thurso Players are a drama club based at The Mill Theatre in Thurso. The club produces several shows a year covering a range of styles including drama, musicals, revue, pantomime and comedies. The club has thriving adult, youth and junior sections. In addition to a busy amateur programme, the club has professional touring companies visiting The Mill Theatre throughout the year. For up to date programme details see their Facebook page. The Lyth Arts Centre presents a year-round programme of Live Performances. Most of the programme is devoted to presenting the work of professional British and international artists and performers and the centre also acts as a stepping-off point for local artistic activity. The main aim is to promote work of the highest standard. This includes drama, dance, jazz, folk, world, and new music. Small-scale touring companies – often innovative and experimental. Music in Thurso bring world class professional musicians to perform classical concerts in the West Church, Thurso. See their website here for programme details. Several of the local pubs also frequently have musicians playing. 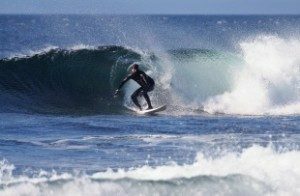 The coastline around Thurso is ideal for surfing all year round. Winter swells are particularly good for big wave surfing. Thurso Bay, Brims Ness and many other locations nearby have provided venues for cold wave surfing championships including the O’Neill. Click for information about surfing conditions. Surf equipment can be hired from the Tempest Cafe in town.